Chart of "fund sweeps" authorized by the General Assembly as of August 31, 2006 for the 2007 Fiscal Year. 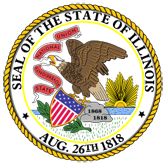 Fund sweeps are authorized transfers of state funds from accounts with a positive balance to other State of Illinois accounts or obligations. 1. FY07 Fund Sweeps (20060913185725_07fundsweeps.pdf).